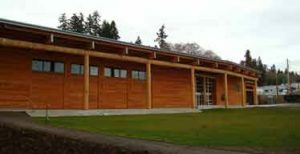 Join Preserving the Past Together for our event, “Best Practices in Collaboration,” an afternoon-long workshop hosted by the Suquamish Tribe. 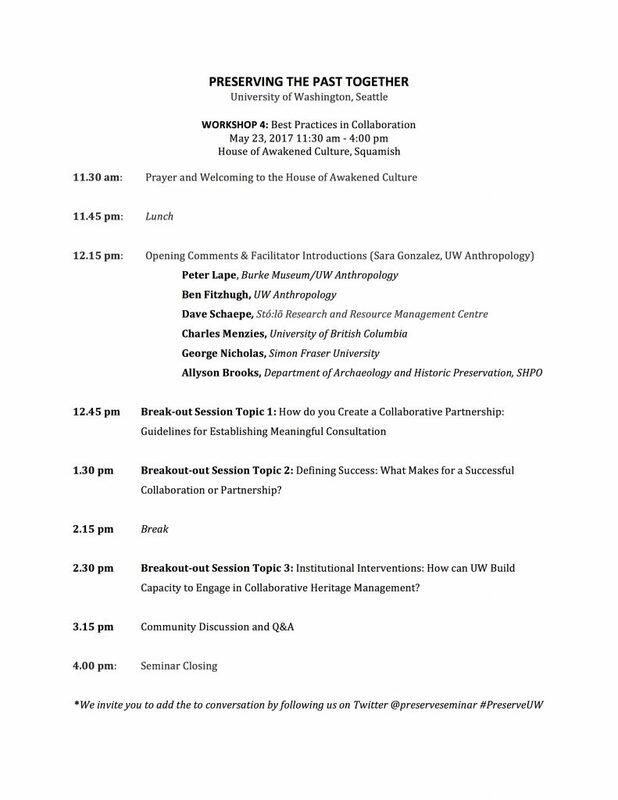 Workshop participants will join panelists from the University of Washington, University of British Columbia, Simon Fraser University, DAHP, and the Stó:lõ Research and Resource Management Centre to develop a collectively authored tool-kit that provides heritage managers with guidelines for effective collaboration with tribes in the Salish Sea. This event precedes the 10th Annual Cultural Resource Protection Summit and is free of charge. A light lunch will be served beginning at 11:30am. If you have any special dietary needs (e.g., vegetarian, gluten free, dairy free) please let us know as soon as possible by contacting us by email at preserve@uw.edu. What’s Cultural About about a Natural Resource? As tribes, heritage managers, and archaeologists we are responsible for protecting cultural resources, but what constitutes a “cultural” resource? How are they defined in the law and through our practice? What opportunity exists to reframe these definitions so they are inclusive of not only tangible resources, such as archaeological sites, but also the intangible values and relationships people share with places? Panelists will consider these questions as they outline the steps their offices and agencies have used to define cultural resources and develop heritage management strategies. A special thank you to the Leadership Series hosted by the Suquamish Tribe! 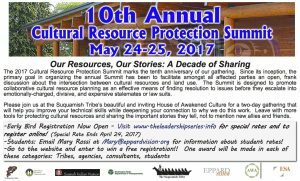 The 2017 Cultural Resource Protection Summit marks the tenth anniversary of our gathering. Since its inception, the primary goal in organizing the annual Summit has been to facilitate amongst all affected parties an open, frank discussion about the intersection between cultural resources and land use. The Summit is designed to promote collaborative cultural resource planning as an effective means of finding resolution to issues before they escalate into emotionally-charged, divisive, and expensive stalemates or law suits.